Hello...is it clay you're looking for? Hello! ...is it clay you're looking for? So, if you’re anything like me, your little ones are heading back to school or maybe yours are not so little, so it’s off to Uni or taking on the world? This either means you have some wonderful free time or you’re missing them incredibly! What now? Have you scheduled in something great for you? Thinking of getting back to an old hobby, or taking on a new career…Do you find Autumn has that effect on us, a wonderful time for new beginnings or a fresh start entirely? You may have visited us once or twice already, we’re sure you enjoyed it? We may still have some of your wonderful makings waiting to be decorated, yes they’re still here! I haven’t had the heart to throw your amazing creations away…I know a little piece of your soul went into creating them! 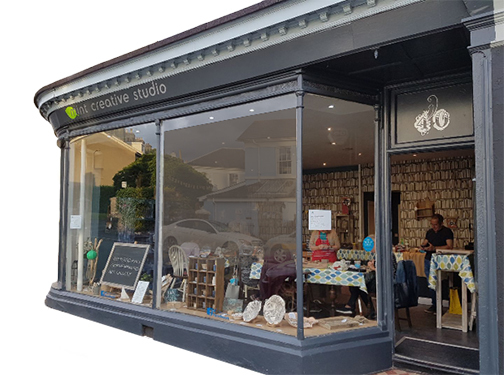 If you visited the studio before April 2018 and didn’t complete your ceramic creations then I’d love you to come back and complete them with NO MATERIAL CHARGES on items weighing 500g or less, you only pay the studio charge of £10 for up to 2 hours. Please quote MINT15 when booking your place. 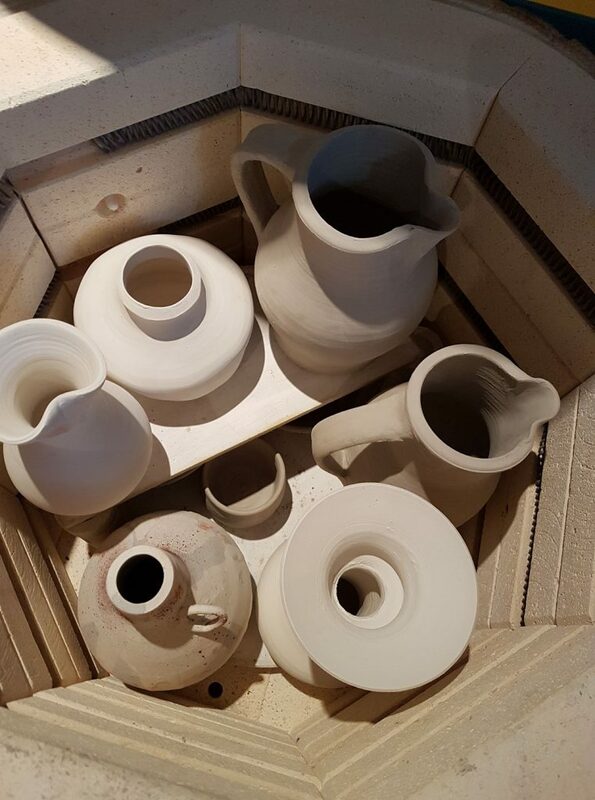 If you can see your completed glazed makings in the photo there’s no charges due, they’re ready to be collected so come and get them! The deadline to complete or collect any of these items is October 6th 2018 as I need to create space for all the new creations. 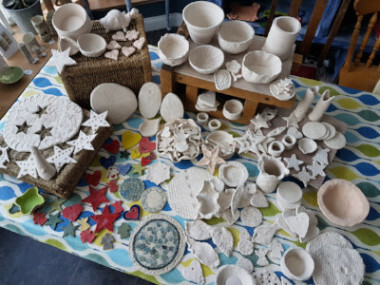 Any remaining pottery makings after this date will be packaged up and sent to a local primary school for decorating. few that have exploded too! 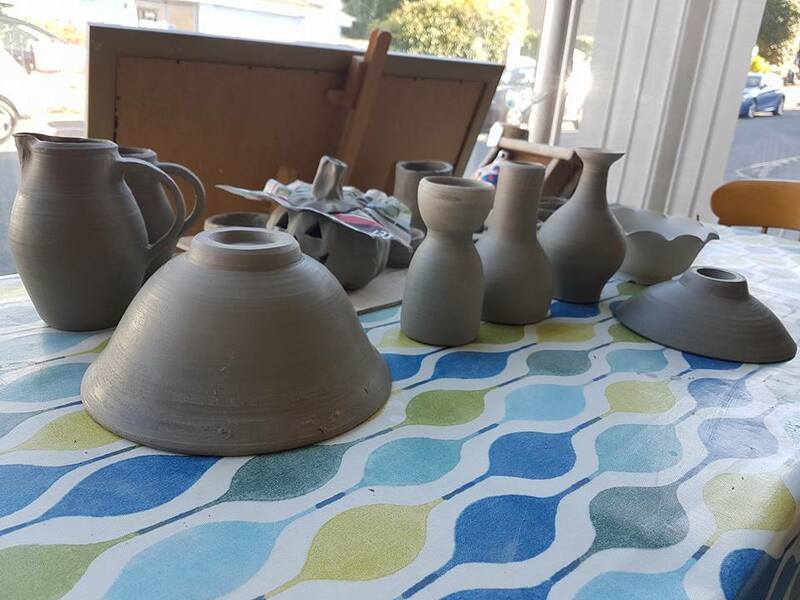 We’re thrilled to offer our first 10 week tutored course started this month and we now have 5 ladies from Newton Abbot that have stepped up to the challenge of learning something new, from our pottery expert Stuart. 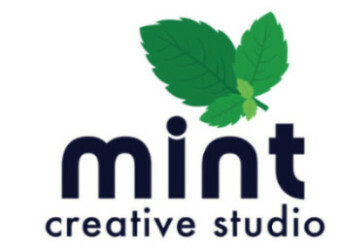 Stuart used to run the pottery course for Brigham College and we proud to have him on board to delivery this and future courses here at Mint Creative Studio. Stuart has agreed to open up this offering and let others join the course to a maximum of 10 places from week 3, so that’s 5 places available to join the remaining 7 weeks of the course from Monday 24th September click below for details. 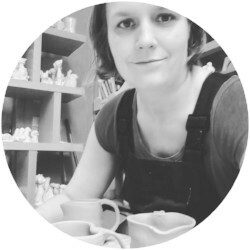 If you know someone who’d love to have a go at Pottery then please forward or share this newsletter to them. 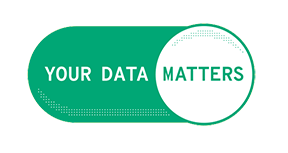 Copyright © 2018 Mint Creative Studio, All rights reserved.